Home to the world’s most active volcano and the world’s tallest sea mountain. Birthplace of surfing and the hula. Former seat of a royal kingdom. Hawaii is one of the youngest geological formations in the world and the youngest state of the union. But perhaps Hawaii’s most unique feature is its Aloha Spirit: the warmth of the people of Hawaii that wonderfully complements the Islands’ perfect temperatures. 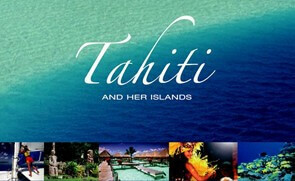 There are primarily six major islands to visit in Hawaii: Kauai, Oahu, Molokai, Lanai, Maui, and Hawaii’s Big island. You’ll find each island has its own distinct personality and offers its own adventures, activities, and sightseeing opportunities. Hawaii vacation packages from South Pacific Vacations can help you to find the unique island experience you’ve been looking for! Home to the state capitol and the majority of Hawaii’s population, Oahu is a vibrant mix of natural and cultural wonders with the modern arts, entertainment, and amenities of the 21st century. 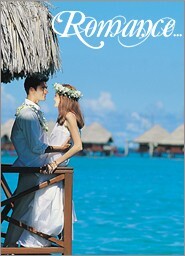 Honolulu is the capital city and home to world famous Waikiki Beach. See pro surfers charge the big winter waves of the famous North Shore. Learn about American history at the memorials and museums in Pearl Harbor. Soak up the sun and learn to surf yourself on legendary Waikiki Beach. The second largest island is home to what some believe are the best beaches in the world, as well as Humpback whales who migrate off Maui’s shores every winter. Wake up early to catch the sunrise atop Haleakala Crater. Stroll through historic Lahaina, and learn about Maui’s whaling past. Drive the long and winding road to Hana for spectacular scenery. The oldest and northernmost island in the Island chain is graced with dramatic, natural beauty. 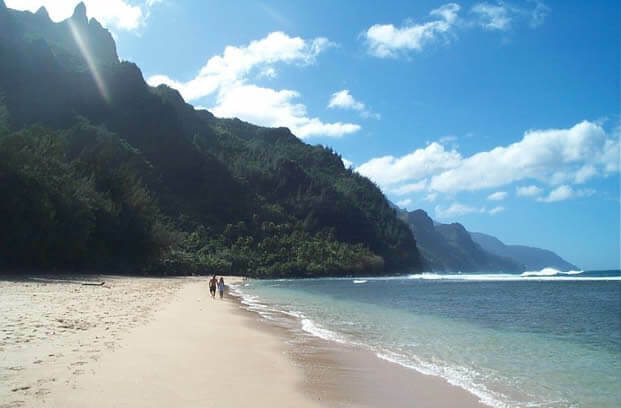 Outdoor adventures and romantic escapades flourish on Kauai. Explore the golden sand beaches of the Coconut Coast. Take a boat ride to marvel at the towering cliffs of the Napali Coast. Bigger than all of the other islands combined, the island of Hawaii, or Hawaii’s Big Island, is vast enough to hold 11 of the world’s 13 climactic zones—from sandy beaches to snowcapped mountains. Kona and Hilo are the main gatweays to this unique island. See the waterfalls and seascapes off the Hamakua Coast. Snorkel, scuba, or fish off the Kohala Coast. View Kilauea, the world’s most active volcano in Volcano’s National Park. Without a single traffic light, Lanai is a true island getaway for luxury, romance, and privacy away from crowds. Play golf at Lanai’s two prestigious courses. Off-road amongst the pine trees along Munro Trail. Step back to a simpler time in the sleepy town of Kaunakakaki. View the verdant flora in Halawa Valley. Learn about the works of Father Damien at Kalaupapa Settlement.